Your baby creations were completely delicious. It was lovely to see your cute projects. As always, thank you for taking the time to join us, we do love to see your work. 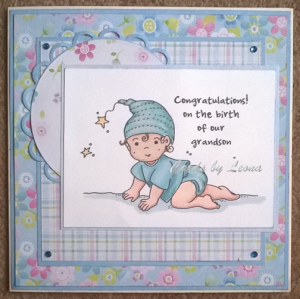 Firstly, check out Craftdee Donna's lovely project, so adorable, I just had to spotlight it. 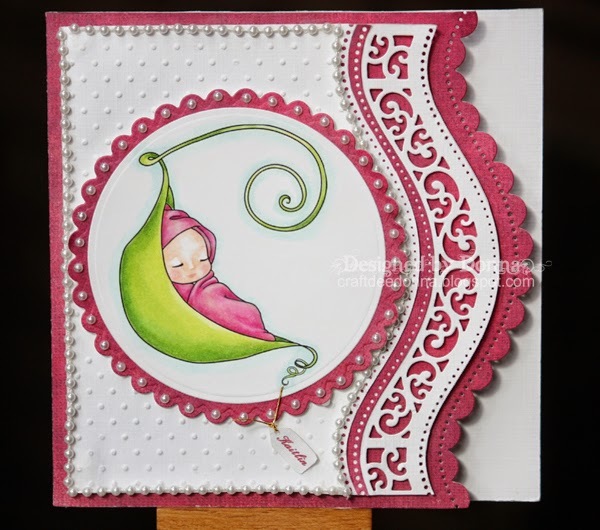 Donna, we would love it if you would Guest Design for us in a future Challenge, we'll give you an image to play with too. Please e-mail me if you are interested. Congratulations Margreet, you win a $10 Gift Certificate to spend on anything you like at The Little Miss Muffet Store! Please e-mail me, so I can get your prize code to you. Congrats to all winners...I have emailed you! Congrats to the winner and Top 3!!!! Thanks for picking my card to share.